The Montana company's Spokane store is opening next door to Durkin's Liquor Bar. Marissa Keenan, owner of Montana-based Sweet Peaks Ice Cream, can’t decide which ice cream flavor of the many they offer is her favorite, so she lists two: the “Mountain Mint,” comprised of natural mint extract from mint farms Keenan grew up near in Montana, and the “Salty Caramel,” a classic. Keenan is now bringing both flavors and others to Spokane when a new Sweet Peaks location opens downtown this May on West Main, near Durkin’s Liquor Bar. 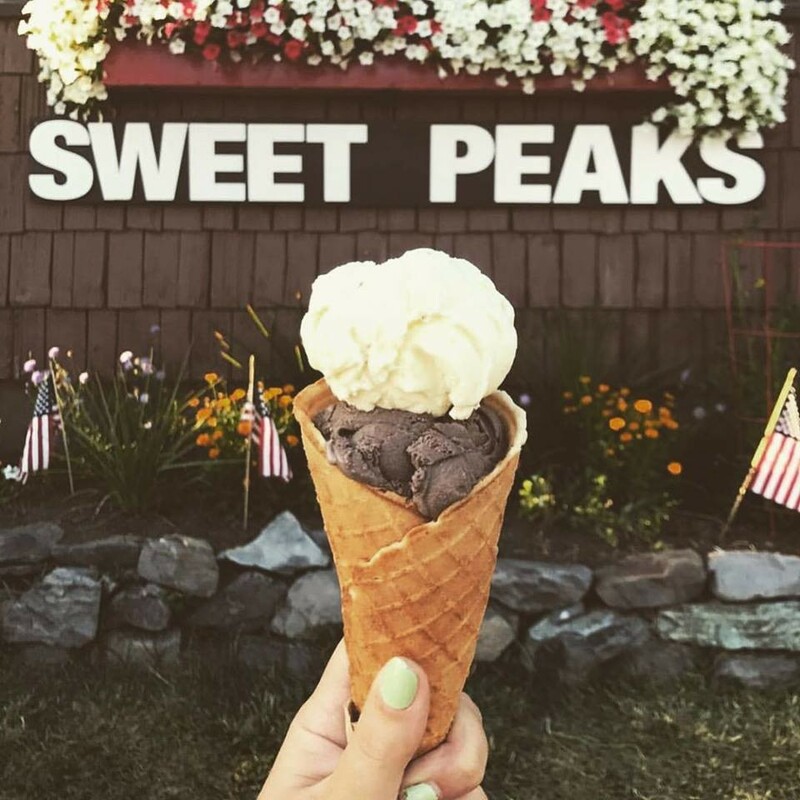 Nine ice cream flavors — the same that are served at Sweet Peaks’ seven other shops — will be available, ranging from cupcake to huckleberry, and including seasonal flavors. Those with lactose intolerance won’t be left behind, as there’ll be dairy-free sorbet or nut milk-based options on the menu. The decision to open in downtown Spokane was a simple one: Keenan and her family have always been fond of the area and frequent downtown whenever they’re in town. “We feel that the downtown area is a great place for handcrafted ice cream. The downtown is vibrant and the center of so much action,” says Keenan. She hopes to work with local businesses in the area to collaborate on flavors and events. “Our goal for the shop is that it contributes to downtown Spokane by not only serving great ice cream with a smile, but by existing as a place that is welcoming and friendly. Community is important to our brand and business ethos,” says Keenan. Sauce your meat yo'self with these six flavors. At first, I have to admit I was a little disappointed when I learned that the Blackbird Kitchen + Tavern was ditching its gastropub menu for a barbecue smokehouse concept. Not that I dislike barbecue — far from it — I simply didn’t want to see their standing menu go; especially the Mi Mi burger, which I fervently opined about in our Burger Issue as my favorite in all the land. But now, after visiting the recently reopened restaurant this past weekend, I’m totally sold on the new concept — the barbecue menu, the new service format (order at a kiosk, from a hostess or ask for traditional table service) and the overall laid back vibe that barbecue naturally brings to the space. Sure, I’ll miss the Mi Mi (which might reappear on the menu of sister restaurant Manito Tap House, I’m told), but I am totally OK with the tradeoff. The new menu’s taco option ($2.50-$3.50 each) is seriously amazing and also can be quite a bargain compared with other ordering options, which include a plate with two sides ($14-$24), sandwiches ($12.50-$15), or “just the meat” ($9-$28). Ala carte sides (baked beans, coleslaw, mac and cheese, potato salad and Texas caviar) are $5 each. 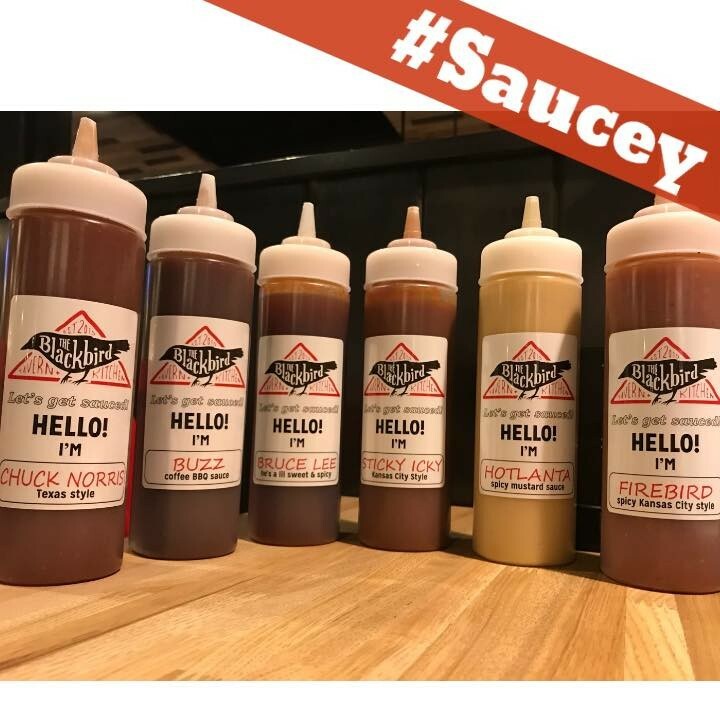 Each table comes fully stocked with a caddy of six barbecue sauces, including a spicy mustard, hot Kansas City style, Texas style and coffee barbecue. Back to the tacos: They’re served on substantially sized flour tortillas (i.e. much larger than the traditional, 2-inch street taco). Each topped with smoked sour cream, pickled red onions, cilantro and the option to add guac ($1 per taco), three tacos is more than filling for one and also allows for a wider sampling of barbecue meats. The brisket was my favorite, followed by pulled pork and chicken. Two other proteins — hot links and vegan pulled jackfruit — can be ordered as tacos, too. On the cover, we present a guide to the region's international markets, including profiles of the owners of four: Best Asian Market, Kiev Market, Spokane Halal Foods and De Leon Foods. In the food section, learn more about Three Peaks Kitchen + Bar inside the new Spokane Tribe Casino, along with a new Spokane winery founded by two WSU professors. The April 26 issue also includes a round-up of the latest news from the local food scene. A version of this information originally appeared in our weekly Entrée food newsletter; sign up to get it delivered directly to your inbox here. Find previous editions of the Entrée blog here.